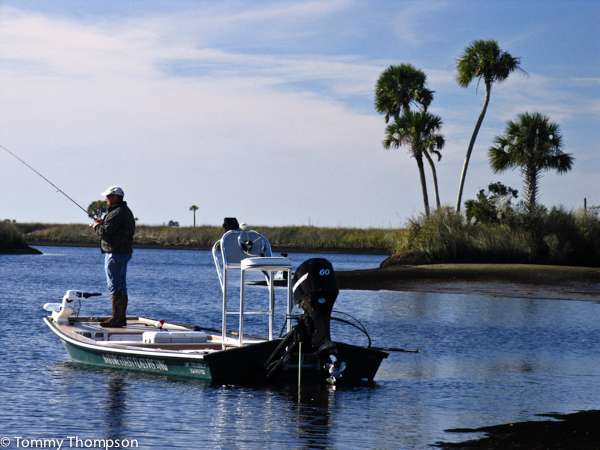 If the winds-a-howlin’ head up your closest coastal creek for some great spring fishing action! 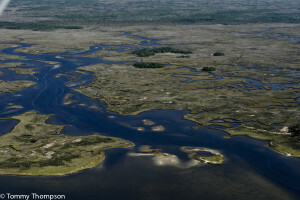 This is Bumblebee Creek, near the mouth of the Suwannee River. Springtime often means that the winds howl on Natural North Florida’s Gulf Coast. It’s not unusual for winds to be light and variable, 3 to 7-knots, in the morning hours, but turn to a 20-knot westerly sea breeze by noon. 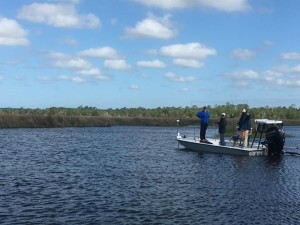 The land heats up faster than the water, and that convection causes rough seas out to almost 10 miles, making inshore fishing rough and uncomfortable. 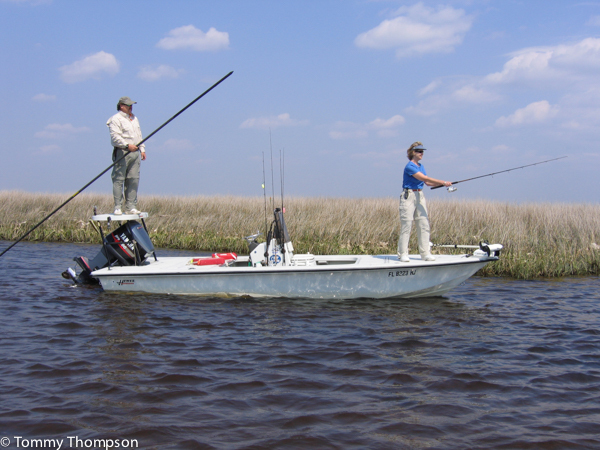 However, we have literally hundreds of coastal creeks and when those sea breezes push tides higher than predicted, they’re easily accessed by shallow-draft and paddle craft. 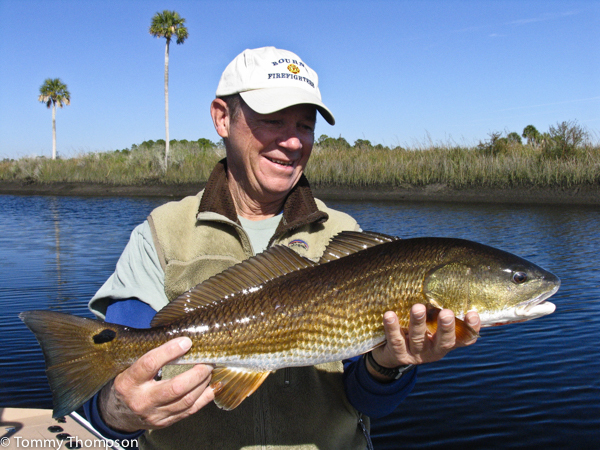 The most likely species you’ll catch in these creeks are redfish, flounder and sea trout. Redfish are common catches in our Big Bend coastal creeks. Just look for structure like oyster bars. A tidal creek off the St. Marks River in Wakulla County. 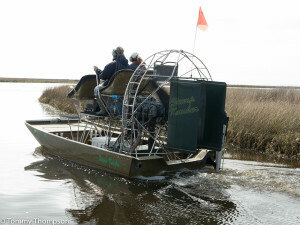 Anglers in airboats, flats skiffs and custom shallow-water boats are common visitors to our creeks. 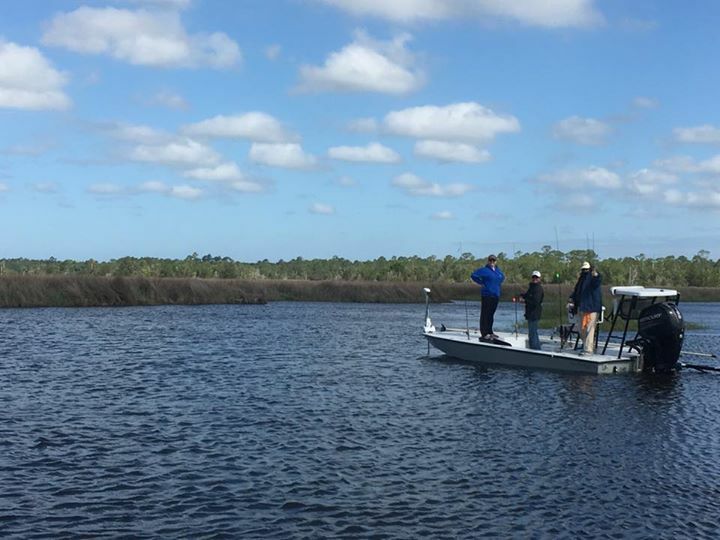 This is Dallus Creek, north of Steinhatchee. 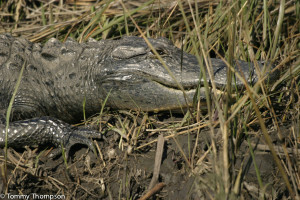 The most important thing to remember about fishing in creeks is stealth–and smelly bait! 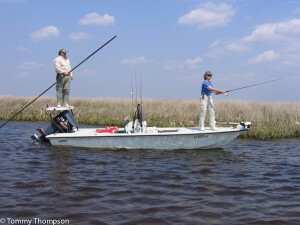 Live or “fresh dead” shrimp will certainly invite a bite or two, but only if you and your crew anchor up and don’t bang cooler lids of scream like banshees when a fish comes aboard. 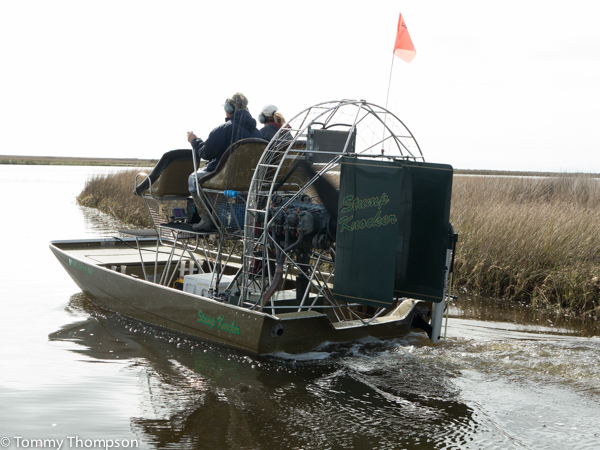 Narrow creeks don’t let you get too far from the fish, and they’re sometimes spooky! 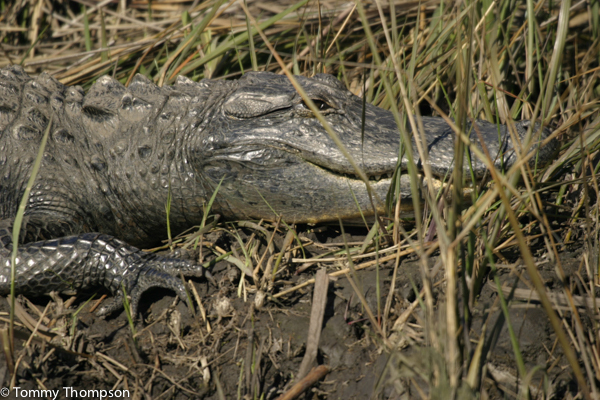 You may not be the only visitor to our coastal creeks!